As a way of expressing our gratitude, for any gift of US$25 (or CAN$25, or €25) or more, we will send you the books Steps to Christ (see below) and The Abomination of Desolation. Or take a look at our complete library: almost 150 books are available! 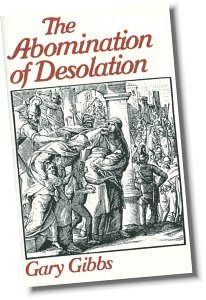 In Matthew chapter 24, Jesus announces the «abomination of desolation». He identifies it as a specific sign that the end is near. What is this prophecy all about? How does it affect Christians in today’s world? This book illuminates one of the most obscure Bible prophecies.